We’re growing peanuts this year! We planted our Spring 2017 garden! Planting our 2016 Christmas Tree! Bombay Potatoes and Free Lettuce Seeds! Video Tour of the Garden! Garden Reveal – Here It Is! How to Remember To Eat Your Vegetables in the Fridge! It’s tomato time you guys! One of the most exciting parts of the garden year is Summer tomato planting for us. 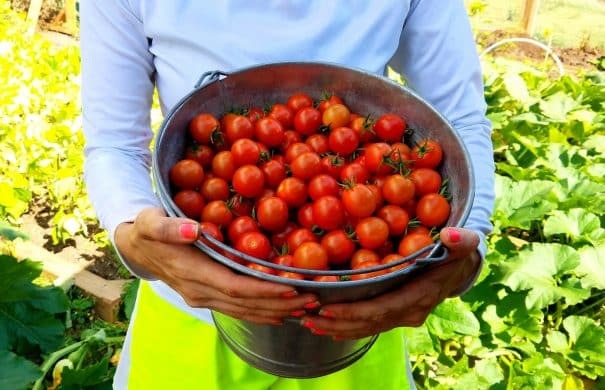 The tomatoes always steal the show in the garden during the Summer, so seeing them in the ground gets us excited for the upcoming few months of care, growing, picking and endless tomato sauce cooking in the kitchen. First up… the plant car! Since we plant the seeds in our Brooklyn apartment to germinate and grow under our grow lights, once the weather allows and the plants are strong enough we transport them Upstate to the garden. 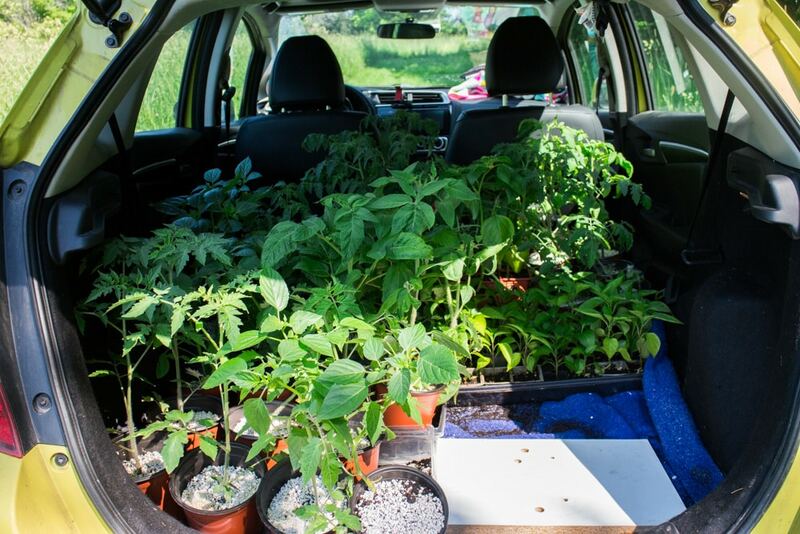 We carefully pack each tomato, tomatillo and pepper plant into the back of our little car away we go! I always like to think that the plants enjoy their scenic ride Upstate New York to their new home. We’re growing peanuts in our New York garden for the first time this year! 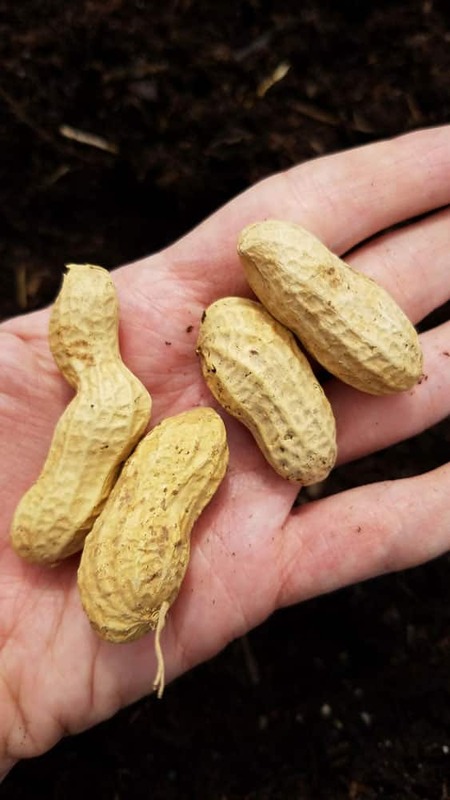 Read on as we plant Jumbo Virginia peanuts! Or maybe the title should read “We’re trying to grow peanuts this year!” so I don’t jinx myself. You might have read that we started our 2017 garden a few weeks ago, which is very exciting, but even more exciting is when we try to grow a new plant! This year the new plants are celery and peanuts! This post is all about peanuts though….! 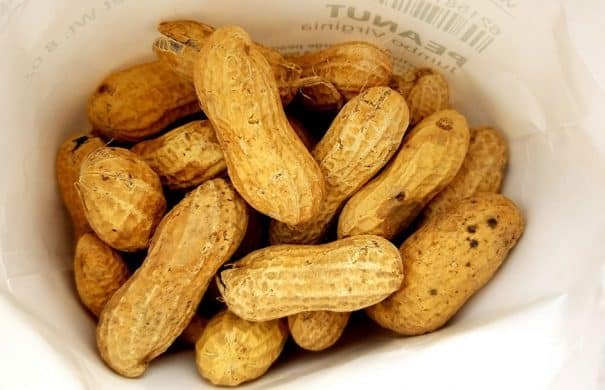 I decided last year I wanted to try to grow peanuts, mostly because I was currently in a peanut butter eating craze. 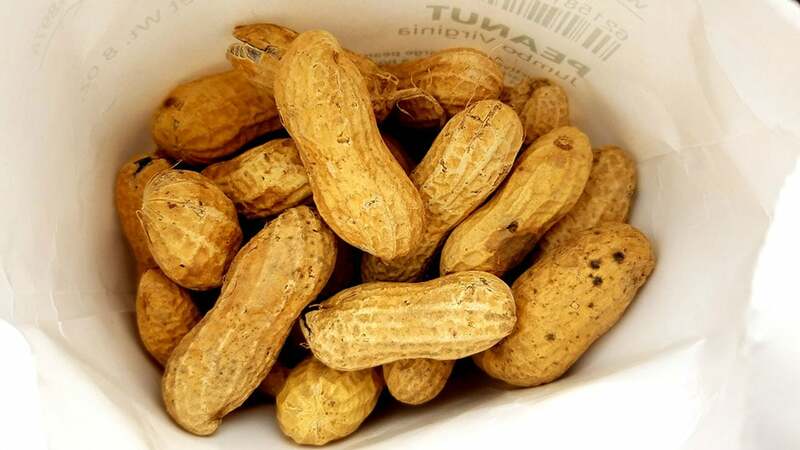 I did some research and saw some people in the North had successfully grown peanuts so I decided to give it a shot. Peanuts need a good 4 months of heat, with no frost, to grow, so let’s hope for a full 120 days of sun for them in our garden! While we’re experiencing a few heated days, we made our way Upstate to start the 2017 garden year and get our veggies planted. This year we decided to hold off planting a couple weeks due to us having a few scary nights of dropping temperatures last year, but I think we’re in the clear now… and the veggies were ready to move out of Brooklyn and into their new garden home! 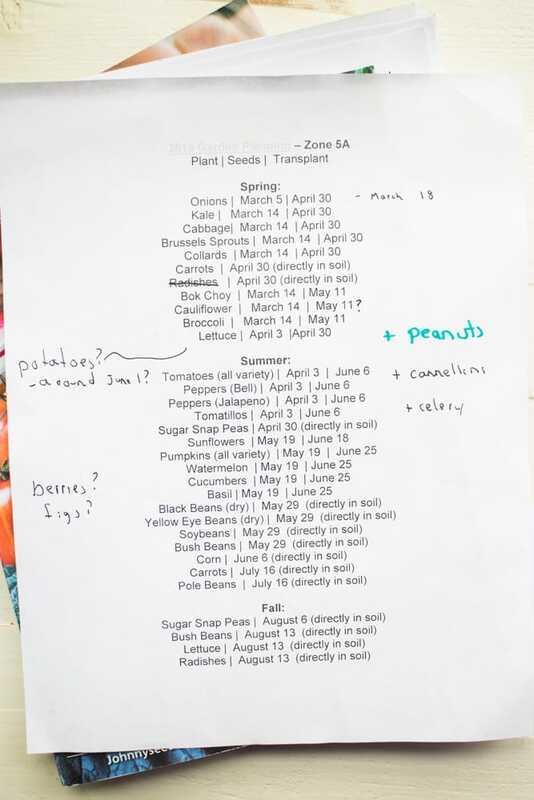 A quick recap, here’s what we planted for our Spring garden and here are the dates that we started the seeds indoors and then moved them outside. As you can see from last year’s Spring veggies, not too much has changed. We have our usual cast of characters, with one new addition. 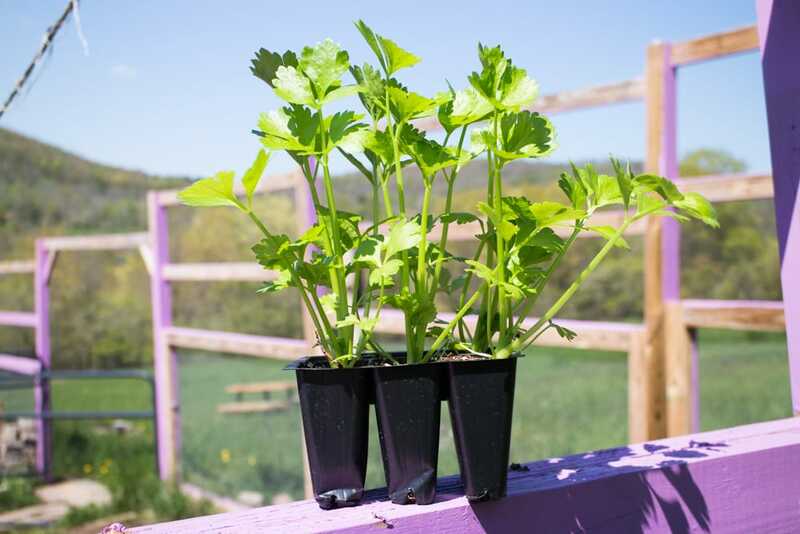 This year we’re going to try to grow celery for the first time! Honestly, the seeds were kind of jerks and really hard to germinate so we had to plant them twice. Even then, the seedlings looked pretty pathetic and weren’t up to par with their plant siblings. At the very last minute I found this pack of 6 celery plants for $2 on our way Upstate so I got them. We grow all of our veggies from seeds, but this year the celery just wasn’t happening so I had to give in and buy a pack. Looks like I have to investigate more into these fussy, hard to germinate seeds for next year! Our Christmas Tree Is Up! It's 9 feet tall and has 6,000 lights on it! Woah! 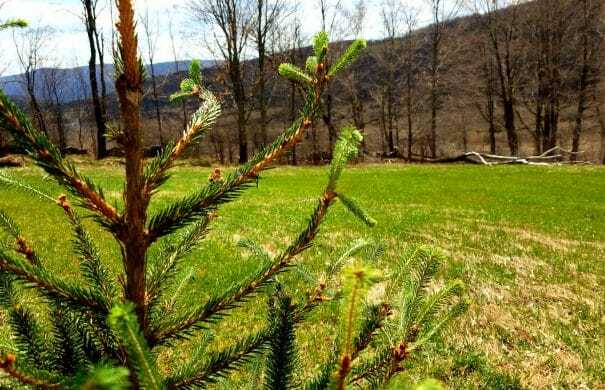 Last year we started the tradition of planting our Christmas trees Upstate on the land. This would be something to look back on one day, a majestic forest of pine and spruce trees with memories of the holidays. 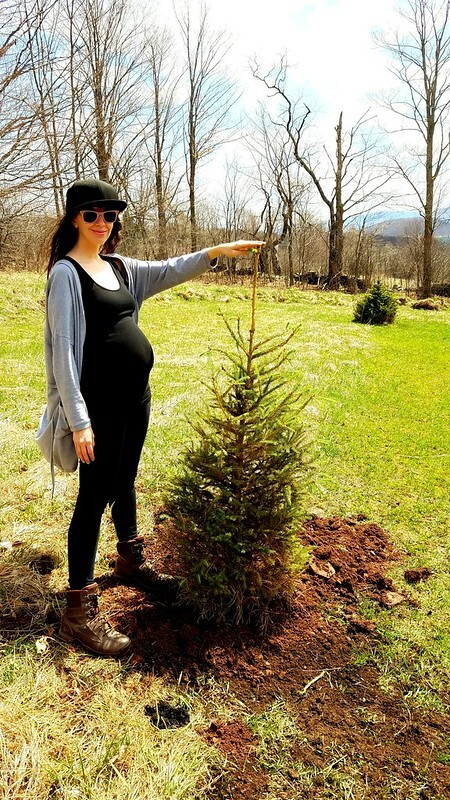 This year we continued the tradition and planted Christmas tree #2! I know, I know.. THE BUMP! We had a beautiful weekend (it was 80 degrees!) so we decided to visit the land to plant the tree and do some Spring cleanup before planting season begins. We haven’t been Upstate in almost 2 months so it was nice to get away and bask in the sunshine while digging around in the soil on a lazy Sunday. Our Christmas tree has been inside our apartment since November, a little longer than we would have liked to keep it inside but it would have gotten cold shocked if we planted it earlier. Somehow Matthew and I both forgot we now have a greenhouse that we could have moved the tree into during the Winter months – duh – we’ll remember this next year! We’ve kept the tree close to the windows inside, and well watered, but it definitely showed signs of wanting to move outdoors. 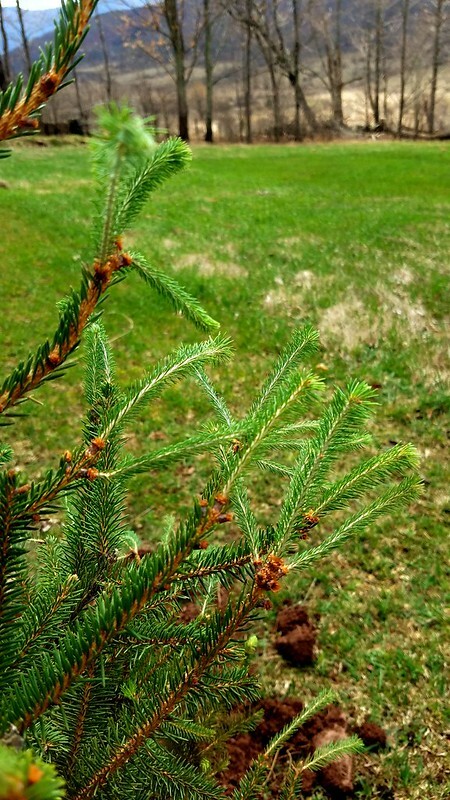 We lost needles on the bottom section of the tree and had some browning, but the upper section of the tree looks great and has had lots of new green growth indoors. I always get so excited when I learn that one of my favorite food companies is helping to promote gardening and growing your own. 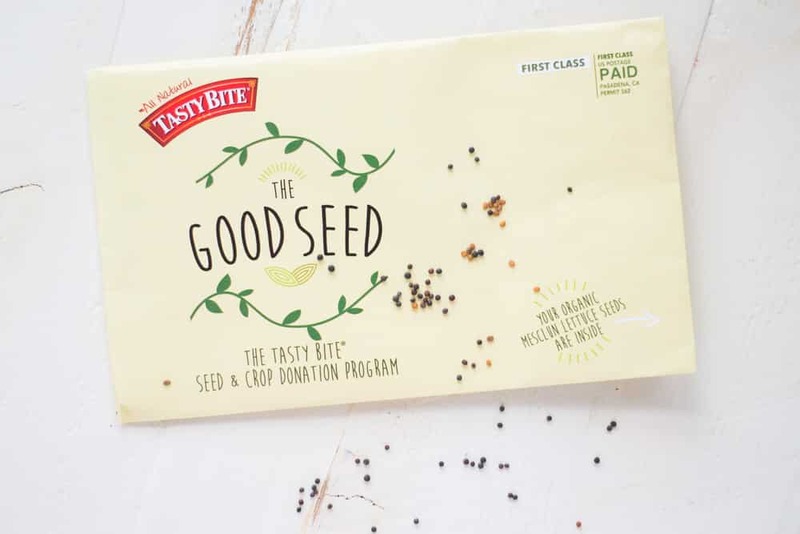 As soon as I learned about Tasty Bite’s Good Seed program, I knew I had to share with you guys! 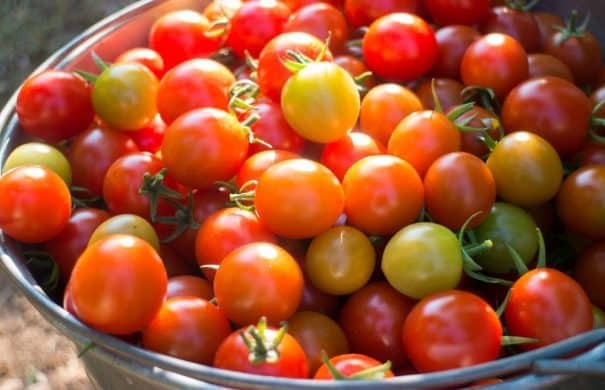 Tasty Bite partnered with AmpleHarvest.org to give away free lettuce seeds to people who pledge to share their vegetable harvest! Tasty Bite has a great range of Thai, Indian and Asian products made with real food and real ingredients. Their products would go perfect over some fresh garden lettuce! 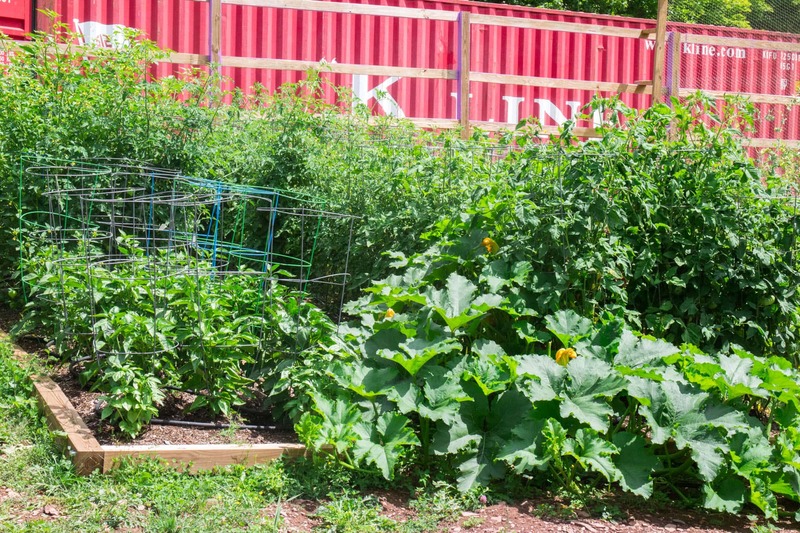 Their goal is to help eliminate waste by helping people grow their own food and share their extra crops by donating to food pantries. Tasty Bite Good Seed Program is over for this year, but it’s an annual program, so make sure to sign up for their newsletter on tastybite.com for alerts on next year’s Good Seed program. Our lettuce seeds will be planted in about a week for our Summer garden. 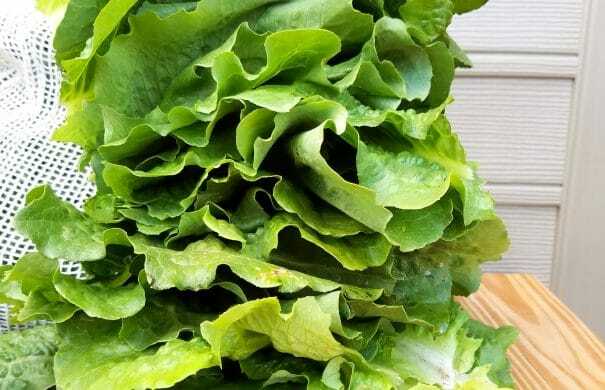 We love growing lettuce because it’s a simple plant that easily grows without much care. I’m going to repeat what I always say… but how awesome is it go from lettuce seeds… to lettuce seedlings..
I’m officially declaring it Spring because a few days ago I was able to wear a dress without tights under! Since it’s Spring that means one thing – it’s time to plan our garden! We always look forward to planting our seeds in Spring and the organization that comes with it. First we talk about what grew good last year, what we didn’t think do that well, what we grew too much of (bok choy! ), what we need more of. 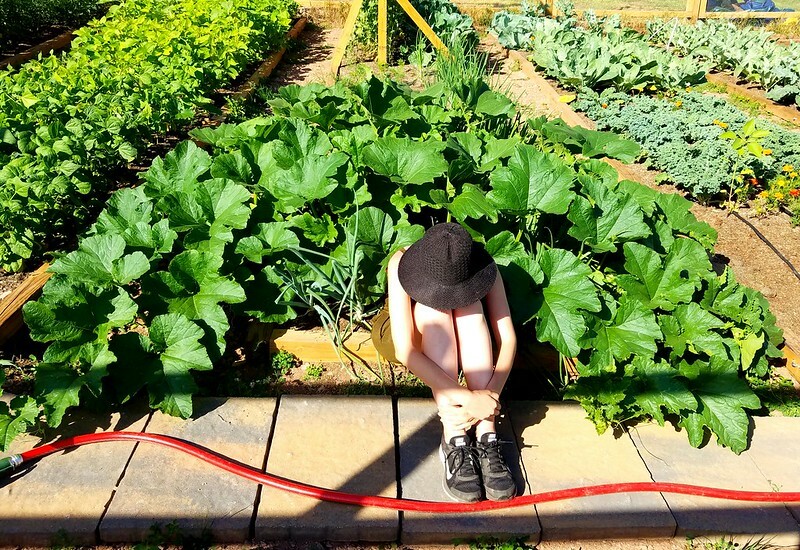 Then we discuss adding new vegetables to the garden – is there anything that we really want to grow that we aren’t already? From there we view catalogs, make a list, order any seeds that we might need and start planting. The answer some of those questions…. the garden is staying pretty similar to last year with some little changes. 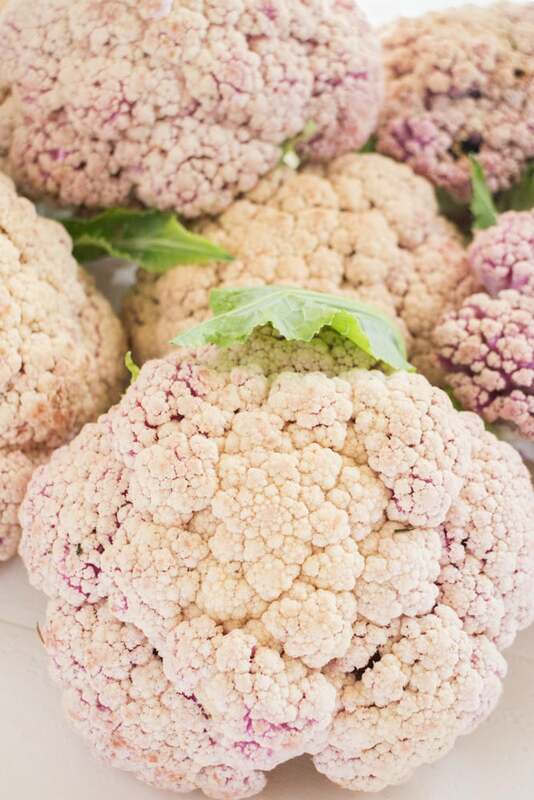 Cauliflower continues to be challenging for us to grow and leaves us not feeling that it’s always worth it. Matthew wanted to get rid of cauliflower completely this year but I talked him into giving it one more chance, so we’re trying a new variety (Snow Crown). 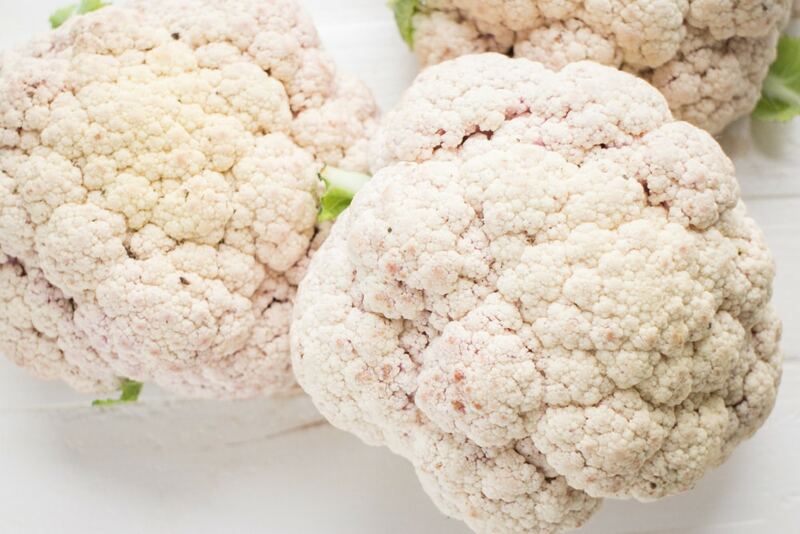 Cauliflower, don’t let me down, you’re on notice. We grew almost 100 bok choy plants last year which was crazy, so this year we are growing less, and I will be picking it earlier in the season to enjoy it in it’s “baby” size. We’re getting rid of radishes, they’re so easy to grow that it almost feels wrong to stop but I just haven’t been in a radish mood. 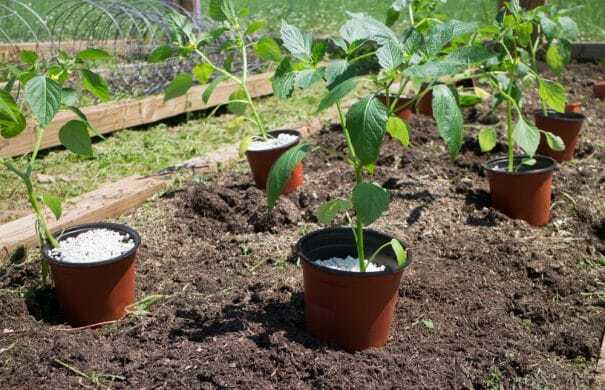 How to Grow Black Beans from seeds in your vegetable garden. Looking for a new plant to grow in your garden this year? Try growing black beans! They’re easy to grow, produce a good yield and store great for recipes! It’s the beginning of March which means your garden has already crossed your mind. 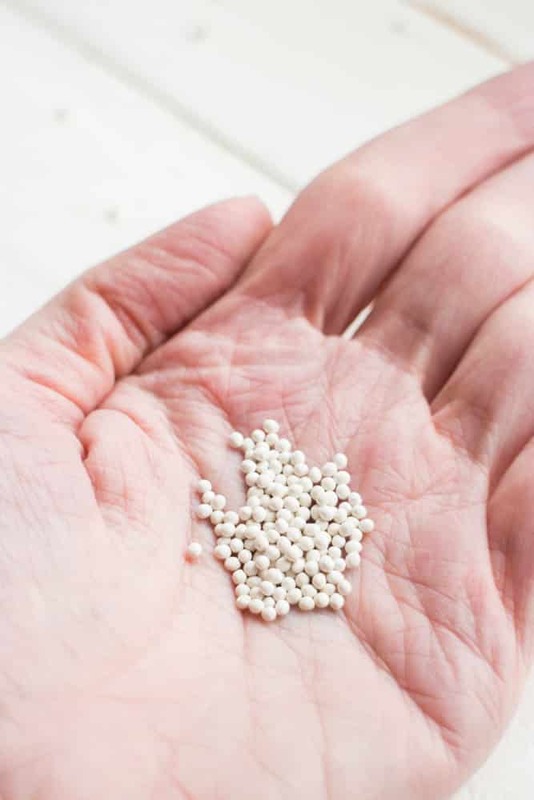 We’ll start planting our seeds indoors (tip: check out my post on how to germinate seeds!) in about a week for our Spring garden, but it’s never too early to start planning for Summer. Whenever I post a black bean recipe I get a few readers that say they want to grow black beans. You know what? You should! You all should! If you are looking for a new plant to grow in your 2017 garden, why not try dry black beans? 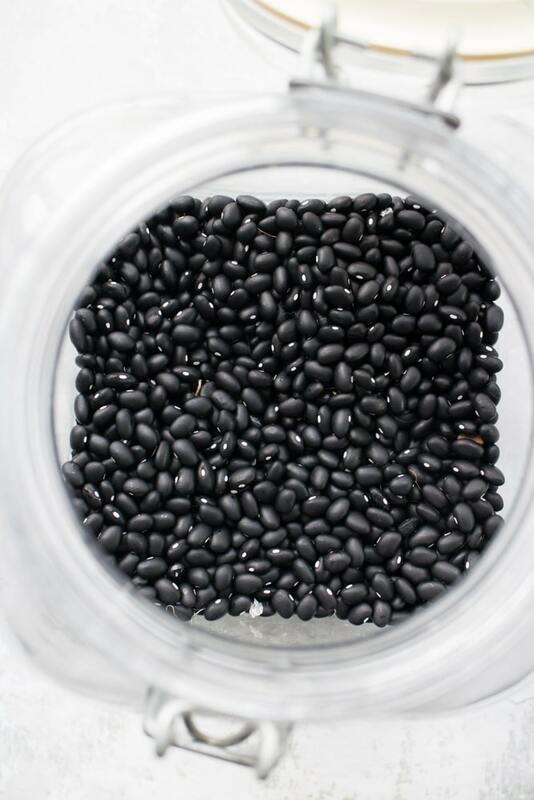 The black beans we always grow are Midnight Black Turtle Soup beans from Johnny Seeds. We’ve had year after year success with them so if you’re looking for a recommendation, get them. 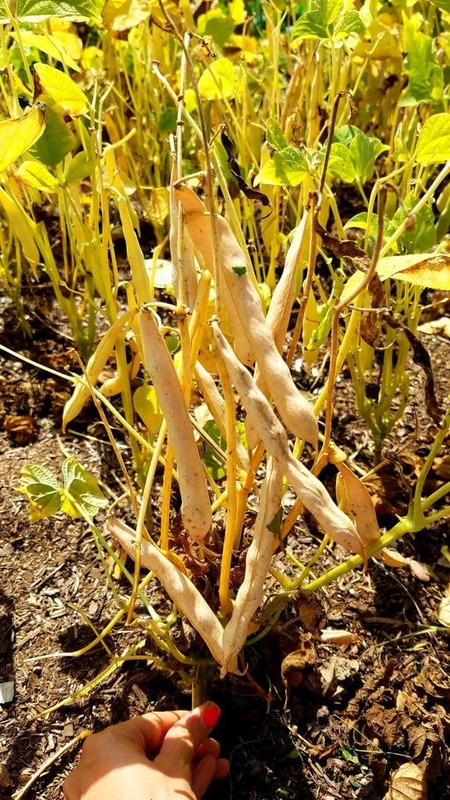 We grow our black beans in the “beans” garden bed where they grow alongside dry white beans, soy beans and green beans. To get a idea of how much time they take to grow, last year we planted black beans (directly in the soil) on May 29 and we pulled them to dry on September 10. On average they take 100-110 days to fully mature, ours took 104 days to be exact. The way that you know the plants are done is when the plants topple over and turn brown. The other trick is is to shake the bean pod. If you hear the beans rattling around then you know they’re full developed and ready to be picked. 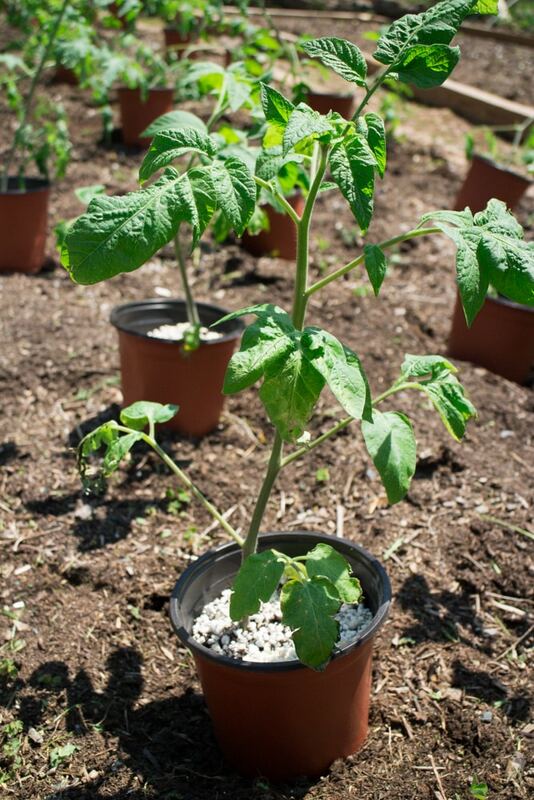 You’re going to want to hang up your black bean plants to dry for a week so just yank up the entire plant and tie up in some place that will remain dry. We usually ties ours up in our garden shed. Once they’re all dry, now comes the fun/terrible part – time to individually pick each pod off the plant, break it open and remove the beans. 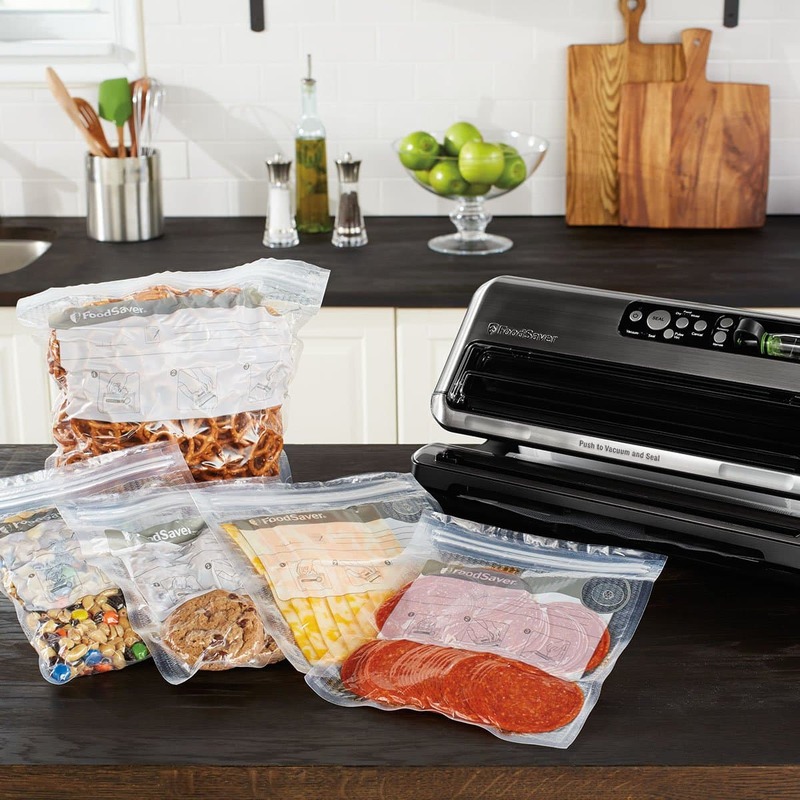 And just like you have black beans to use and store. 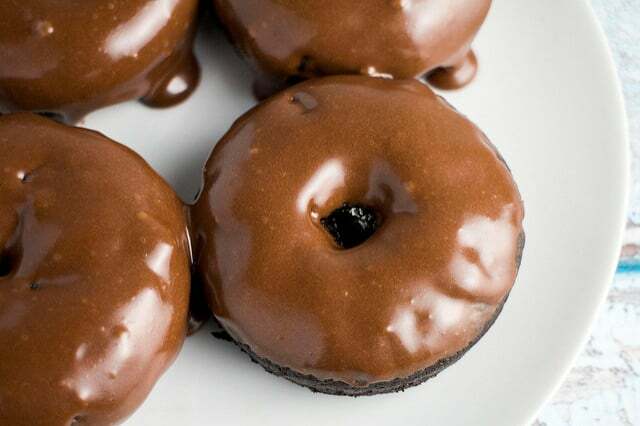 If you intend on eating these often, I would suggest growing 15 plants per person. This should last you throughout all the seasons until you grow again. If you really love black beans, grow even more! The black beans won’t go bad, so it’s not like you’ll be wasting them if you grow too many. 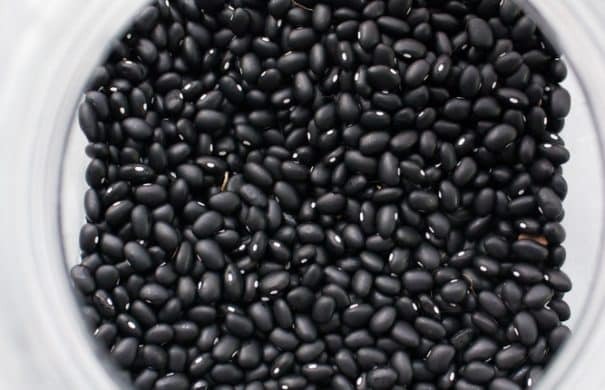 Black beans are incredibly easy to take care of, they are kind of no nonsense plants. Plant them, water them occasionally, give them sunshine and they’ll grow without any additional help. 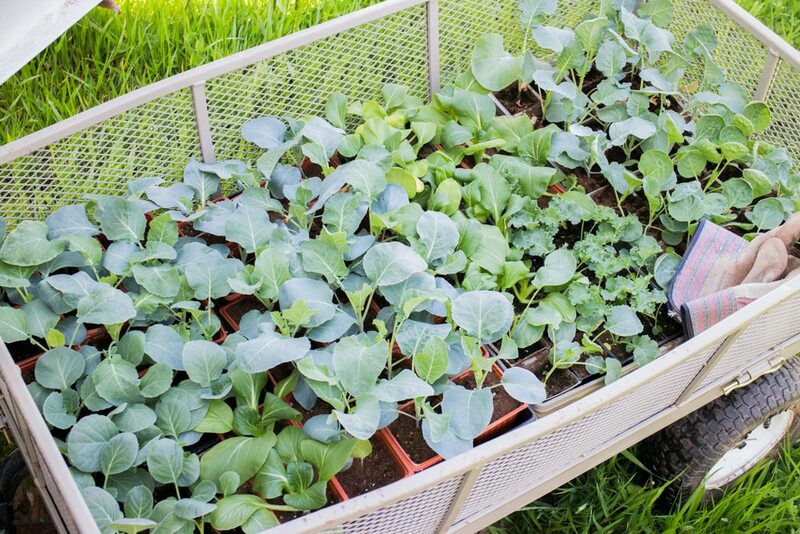 You can grow these in the ground or in containers – both work great. This post is sponsored by Hayneedle who helped us build a greenhouse so we can grow vegetables in the Winter! All opinions are my own. 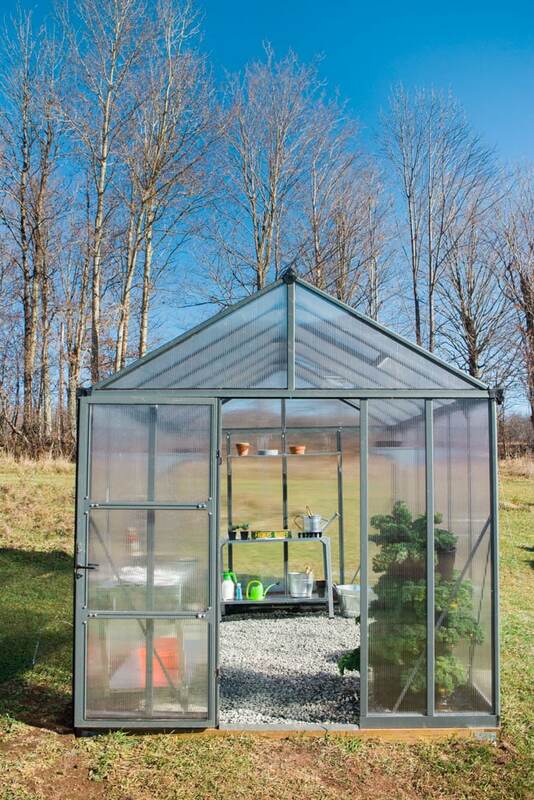 Make gardening season last year round with a greenhouse! Go green and grow your own! I have been so excited to show you what we’ve been doing on the land! Garden season ended a few months ago so that’s why there there hasn’t been as many beautiful vegetables to show, but not to worry – we’re still growing! In February! In 10 degree temperature! In the snow! Thanks to a greenhouse we’re all set up to grow our hearts out 365 days a year now! When we had our rooftop garden going we had a small greenhouse that left us able to grow broccoli, bok choy and kale during the Winter months. Once we moved the garden Upstate I was already thinking about Winter growing during the first year. 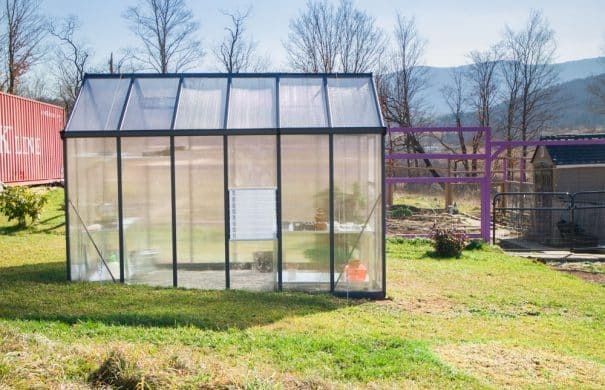 Because we’re Upstate in the Catskill Mountains we had some things to seriously consider about the greenhouse. 1) It gets really cold. 2) It gets really snowy. 3) It gets really windy. 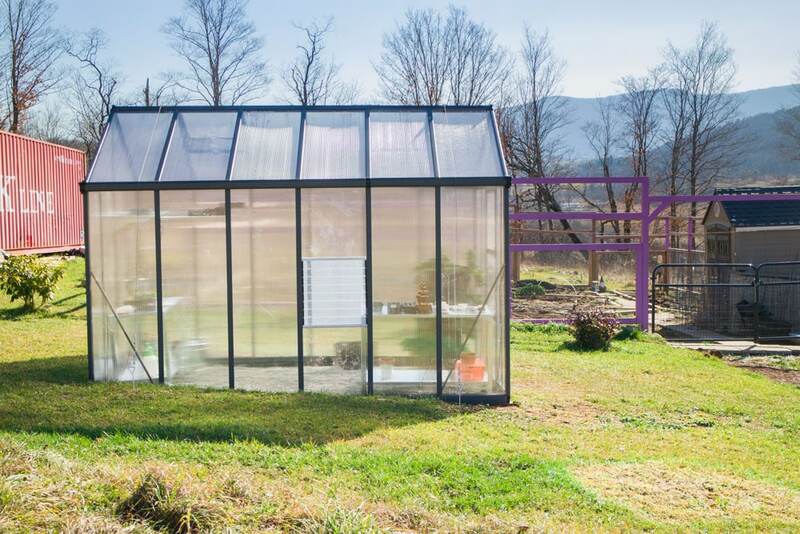 So I investigated greenhouses and figured the Palram HG56 Glory Greenhouse would be best for our situation. We got it in the 12L x 8W ft size which is more than enough for what we need. Due to the strong wind on our property, we installed the anchor kit to ensure the greenhouse wasn’t going anywhere. Inside the greenhouse we put down a ground cover and a few bags of drainage rocks on top. 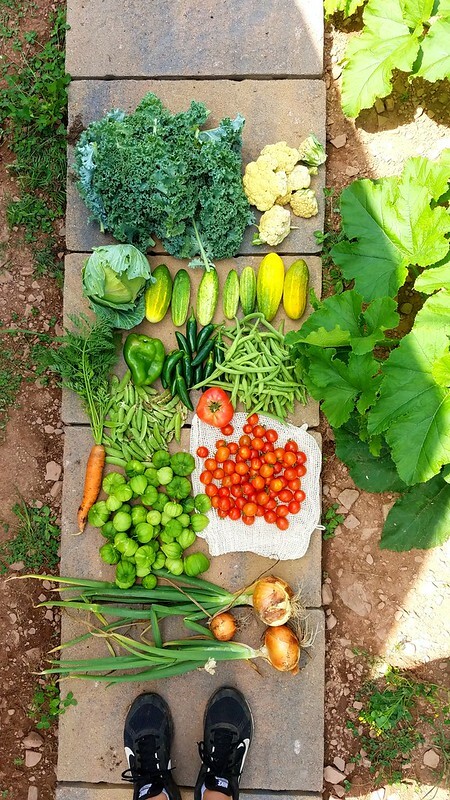 How we grew over 1,100 pounds of vegetables in one Summer! 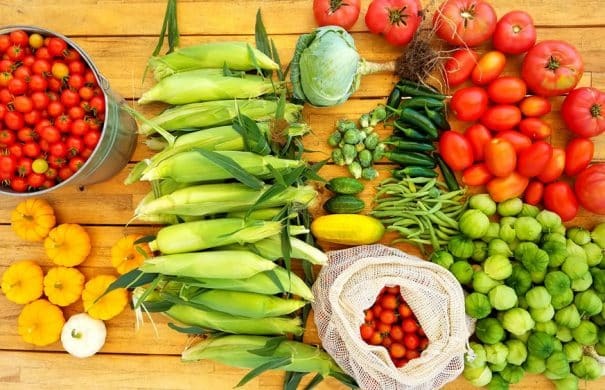 Learn how to grow your own food to last you all year long! 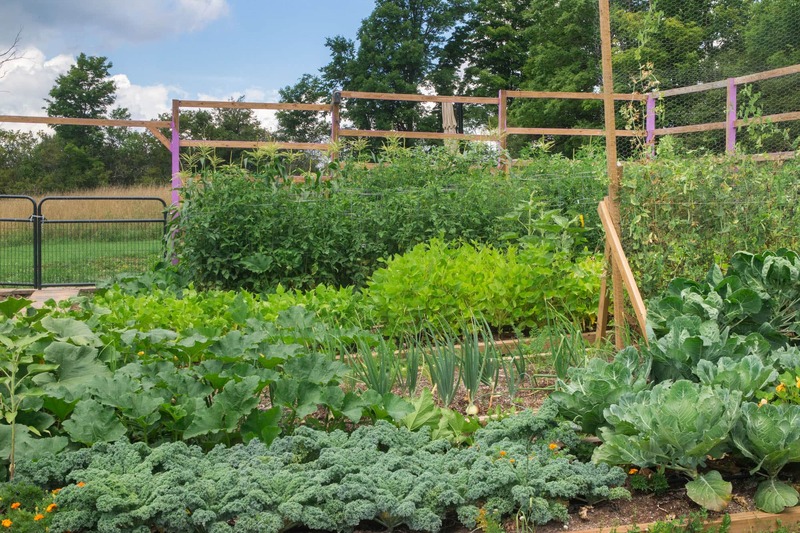 Start your own vegetable garden now! Well 2016 is almost over and it’s been a good year for gardening and growing vegetables. 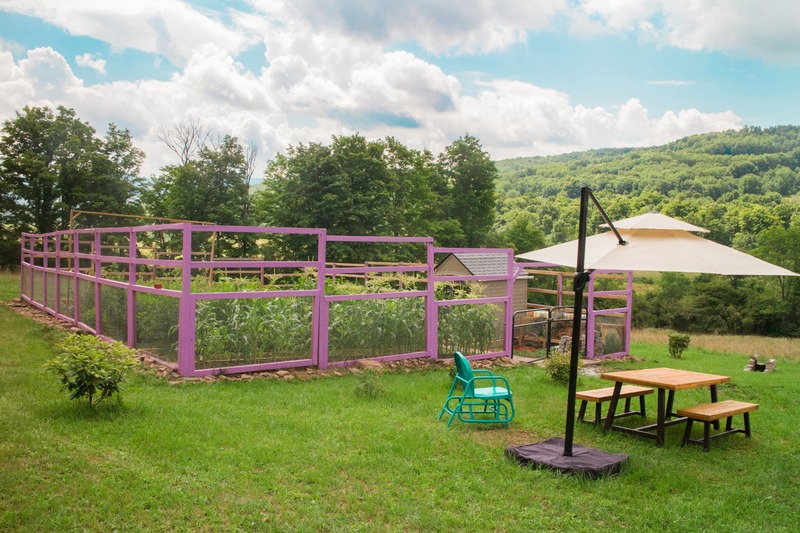 This year we started a new adventure that included building a garden in Upstate New York and then growing our hearts out. Every year we keep a weight chart to track how many pounds of vegetables we grow. Every harvest weekend we visit the garden, lug pounds of vegetables home in the car and into the apartment and then weigh each vegetable. It’s a fun way to keep track of what vegetable grew good, or not so great and is a easy way to compare year to year. OMG. That’s over half a ton of vegetables! 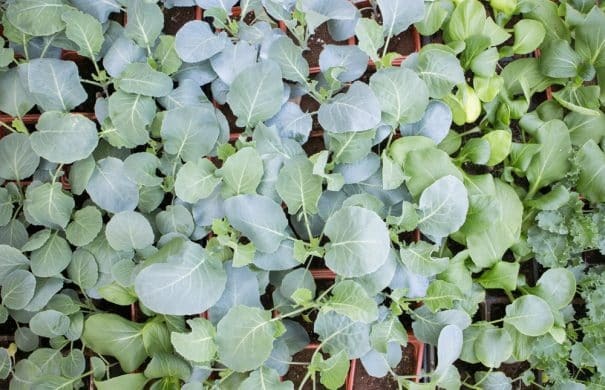 How to move your kale indoors if you’re having a extra cold, rough Winter. 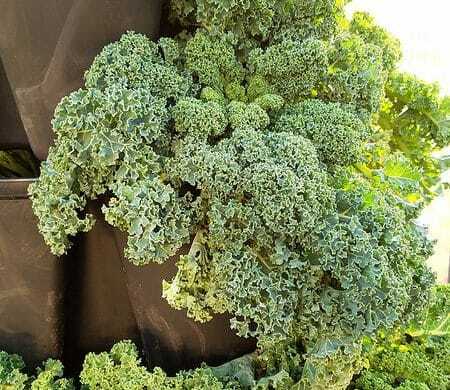 This will make sure your kale will survive for a few extra months! My prediction is that we might have a bad Winter this year. Already in the garden Upstate we have nights in the 20’s and a few days of snow. Plus I saw a white wooly bear caterpillar in the woods and Google told me they were signs of a deep Winter approaching. The garden is pretty much done for the year minus the collards, Brussels Sprouts and kale. The collards and Brussels Sprouts will call it quits when they’re ready to but I really wanted to save the kale. 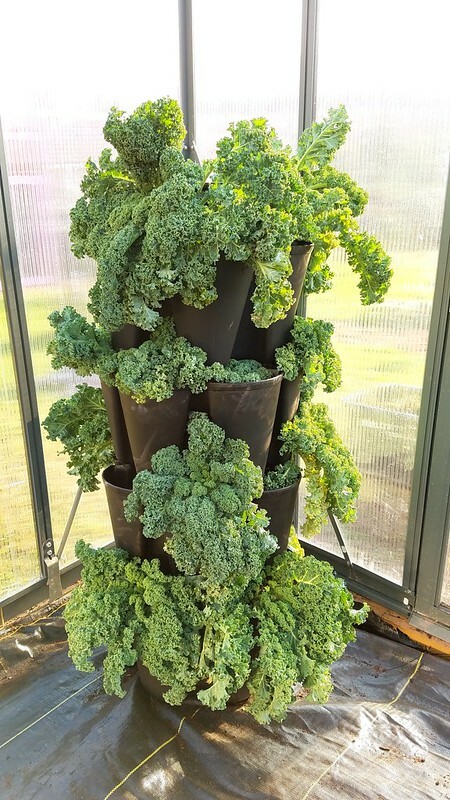 Even though kale is pretty hearty and can withstand cold frost temperatures, it gets very cold in the mountains so I decided to bring it inside our greenhouse to live for the next few months to make sure it survives. 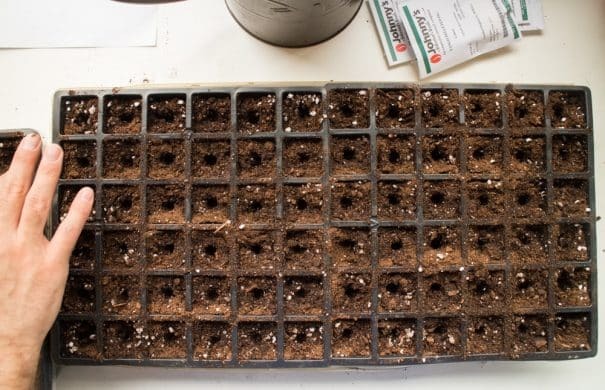 Like my post on bringing pepper plants indoors for the Winter, this has similar instructions. We dig up the plants carefully and then transplant to new pots. We’ll water the plants weekly. 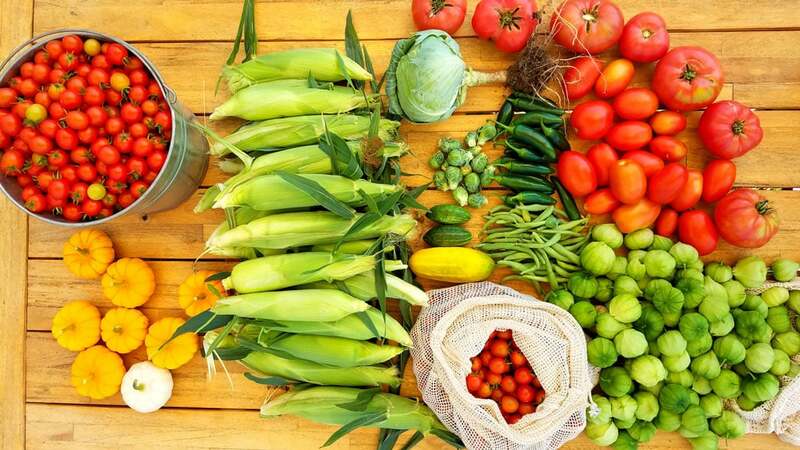 Even though it takes a little work to get them dug up, it’s worth it to have fresh vegetables throughout the Winter if you are in a cold climate. 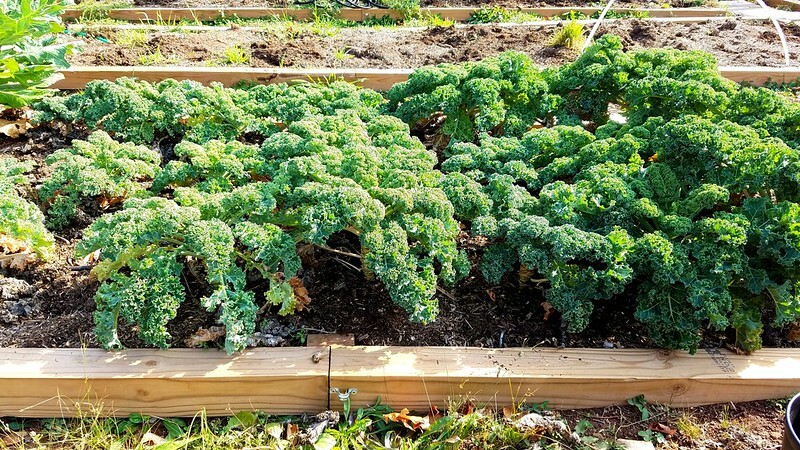 This is our bed of kale. It’s still looking good but the drop of temperatures caused it’s lower leaves to start to die. Time to save the kale so I can make Kale Salad! 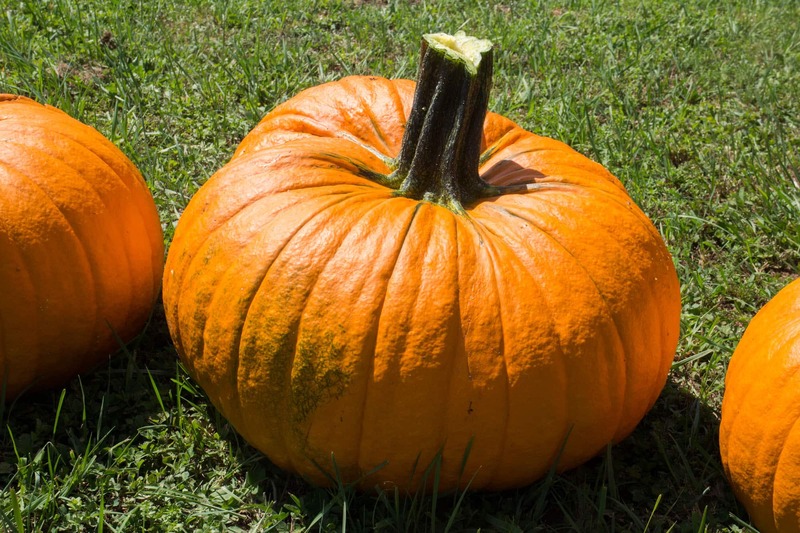 Easy tips on how to turn green pumpkins orange quickly indoors. 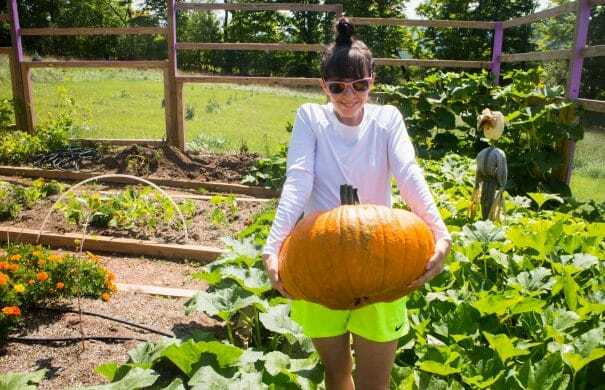 This works for small and large pumpkins. 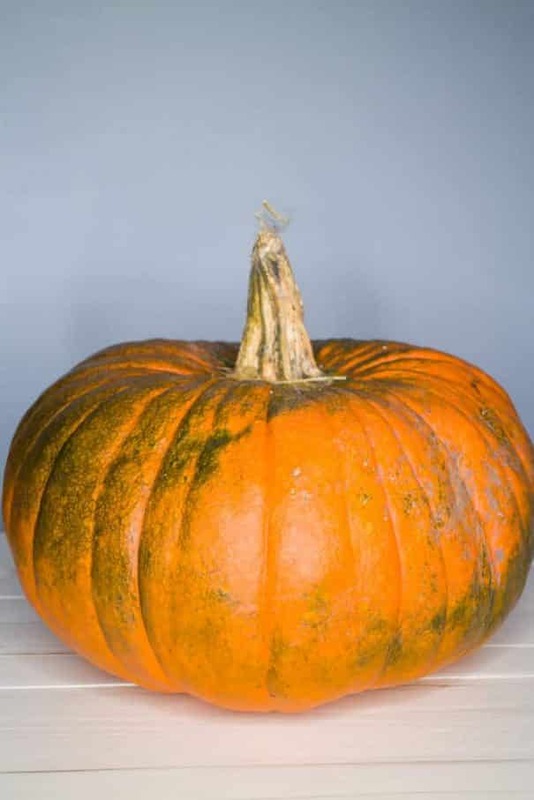 Pumpkins can turn from green to orange pretty quickly and easily indoors. 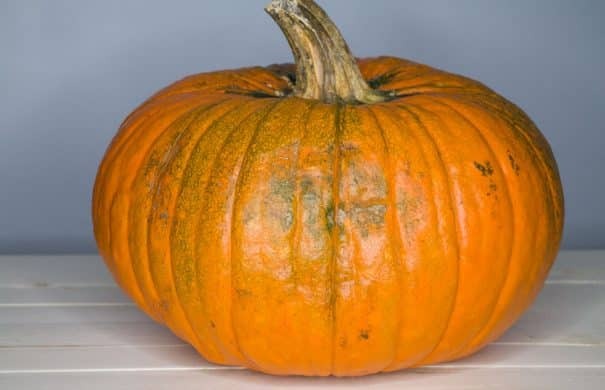 There’s a number of reasons why you might want to bring your green pumpkin inside, the main ones being change of weather (frost hits the plant) or animals eating your pumpkins. A few weeks ago after a dramatic drop in the temperature I had to pick many of our big pumpkins that were still green. Can you pick pumpins early? Yes! If weather doesn’t permit your pumpkins to continue growing outside, then it’s time to pick them and bring them indoors. If you spend a few months growing a pumpkin then you know the heartbreak if you don’t get to see it turn orange. Right now with the temperatures changing it’s the perfect time to bring your pumpkins indoors to turn orange. After they turn orange you can continue to let them decorate your home, or eventually cut them open and bake them for pumpkin puree. November and December are great times to decorate and bake with pumpkin! I turn pumpkins to their bright orange color the same way I turn my tomatoes red. This is the story of what happens when you accidentally track a pumpkin seed into the garden. We plant pumpkins in the garden but they have specific beds to grow in. Somehow a pumpkin seed from our compost bin got stuck to someone’s shoe and it got planted right in the middle of the garden, right in the onion bed. It changed everything. 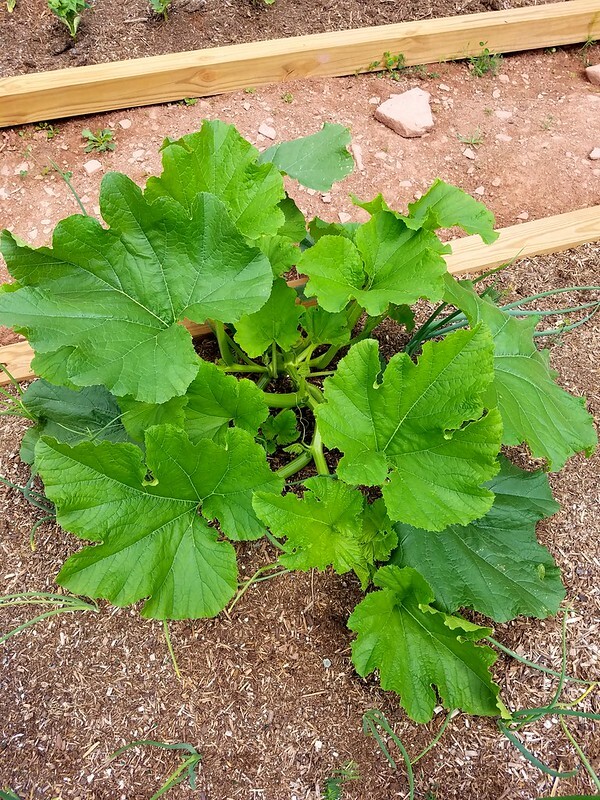 We noticed the pumpkin plant a few months ago. We didn’t cut it down because we thought it would just stop growing. In a few weeks it grew. Much bigger. I hope everyone enjoyed Tomato Week on BFG! I posted recipes for Marinated Overnight Italian Diced Tomatoes, Creamy Roma Tomato Soup and 5 Minute Mexican Burrito Bowl. Now it’s time to introduce you guys to the stars of the garden, the tomatoes! We’re been transitioning to the new zone that we’re growing in this year to try to get a full load of tomatoes picked. Usually it doesn’t frost until November in NYC but this weekend in Upstate New York it’s going to be in the low 30’s at night (thankfully it goes back up!). The growing period for tomatoes is shorter now, but with a whole bed of tomato plants, we’re still picking pounds and pounds. We have our usual cast of tomatoes: cherry, Roma and beef. The cherry tomatoes are in full force (held together by big tomato cages!) and we’ve been picking them by the bucket. 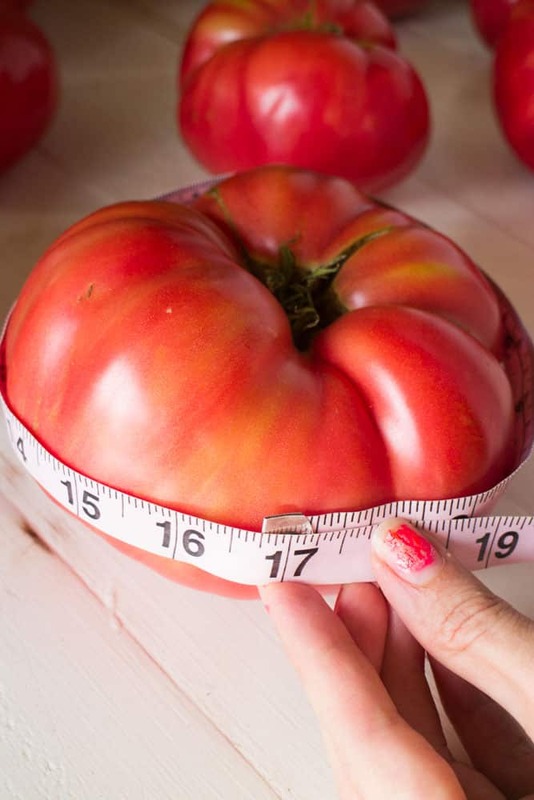 The beef tomatoes showed up next and we’ve seen them in massive size (see pics below). The Romas have started to arrive but there’s still quite a number of green ones. It might be a battle of temperature vs tomato once October comes around to see how long we can hang on to the tomatoes. Let’s just get straight to the beef tomatoes because they are huge! I mentioned their size a few times but I wanted to show you guys just how massive they are this Summer. Can you believe it? Some of these tomatoes are close to 2 pounds! Check out the video tour of our vegetable garden! 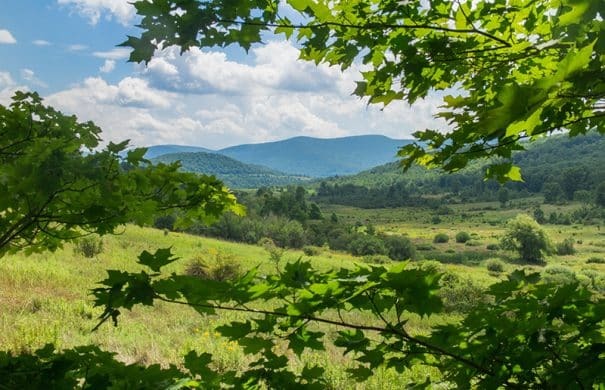 Want to see what’s growing in Upstate New York? Hey guys! I made you a video tour of the garden. 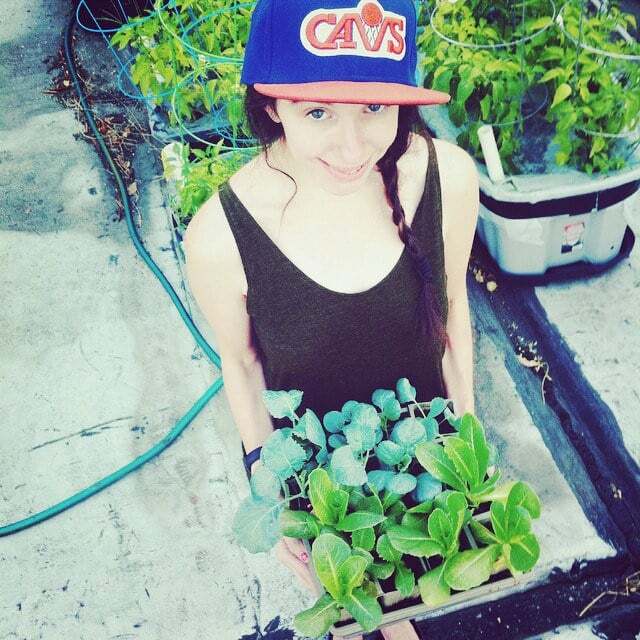 It’s like MTV Cribs but with vegetables instead of cars. What’s growing in September in our garden? Watch the video to find out! This was our harvest last weekend! 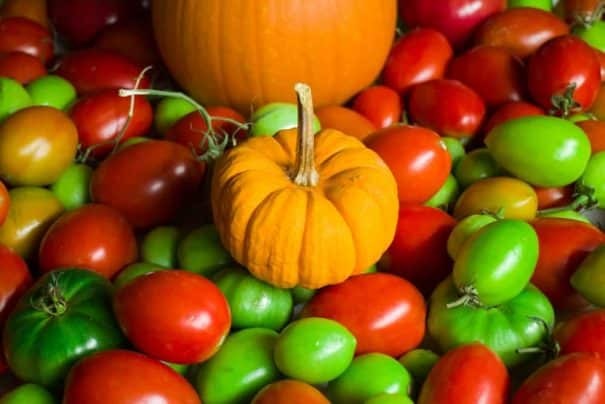 Munchkin pumpkins, 20 pounds of cherry tomatoes, corn, almost the end to cucumbers and green beans, Brussels Sprouts, cabbage, jalapeños, tomatillos, Roma tomatoes, beef tomatoes and some big pumpkins! 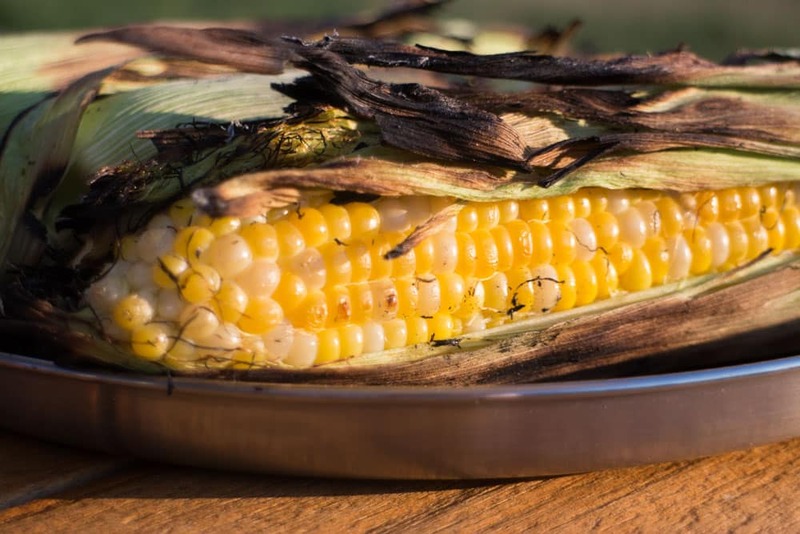 Fresh sweet corn – don’t you love it? I sure do. 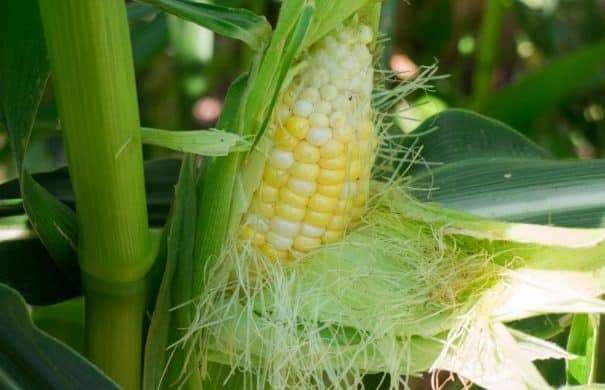 Follow our journey from seed to picking over 20 ears of corn! We tried growing corn up on the roof for a few years and it grew..sometimes. In 2012 we had the best results on the roof, but each year before and after was hit or miss. Each year I talked Matthew into trying again, and each year we got small, if any, corn. Eventually Matthew had to give me a intervention and say that corn was a waste on the roof, why don’t we grow something else? After huffing and puffing and blowing the house down, I gave in, no more growing corn on the roof. So this year, with our first proper growing in the ground, non-rooftop garden, I was determined to grow corn! Lots of it! A entire bed of it! We are still figuring out our growing schedule, but we decided to plant it in early June. By July it was growing, but not that tall, and I was becoming nervous because the (legit) farmers around us had corn that was 5 feet tall. I was worried we started too late. I was worried the ground wasn’t ideal growing conditions for our corn. Then August came and the corn just took off! It grew tall! It grew ears! It grew multiple ears on each stalk! The corn couldn’t control itself, it kept growing and growing and growing! Last, last weekend, we peeked at the corn and it was white, not the yellow/white combo it was supposed to be, so we gave it one more week. This past weekend, it was ready. We picked it. We ate it. I danced with it. 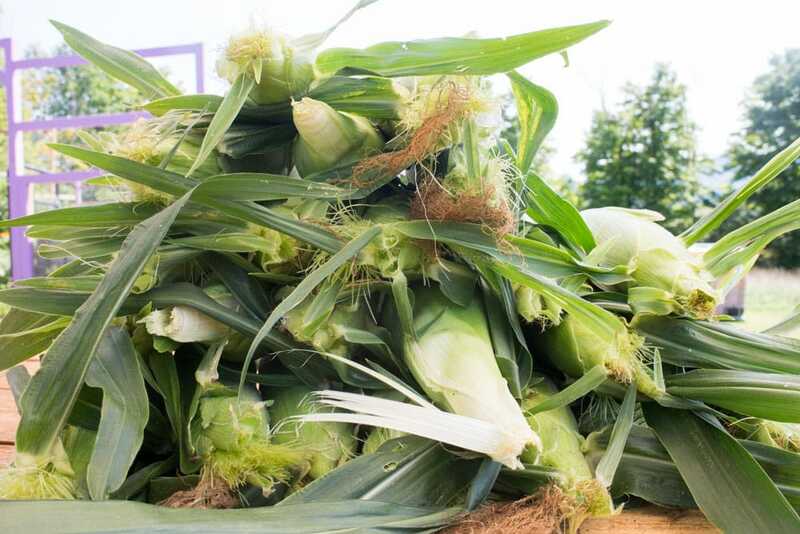 Technicals: We grow Xtra-Tender bicolor super sweet corn. I’m in Zone 5A. Corn seeds were planted directly in the soil June 6. We harvested on September 3. Seed packets say 73 days to maturity but ours took 89 days. Hope you all had a great weekend everyone! We spent the weekend up on the land, camping over night. On Friday we ventured to the local County Fair where I ate my yearly funnel cake and kissed all the goats I could find. On Saturday we woke up on the land to cows moo’ing at a nearby field and sunshine. With the garden all built now (did you see my reveal last week?) 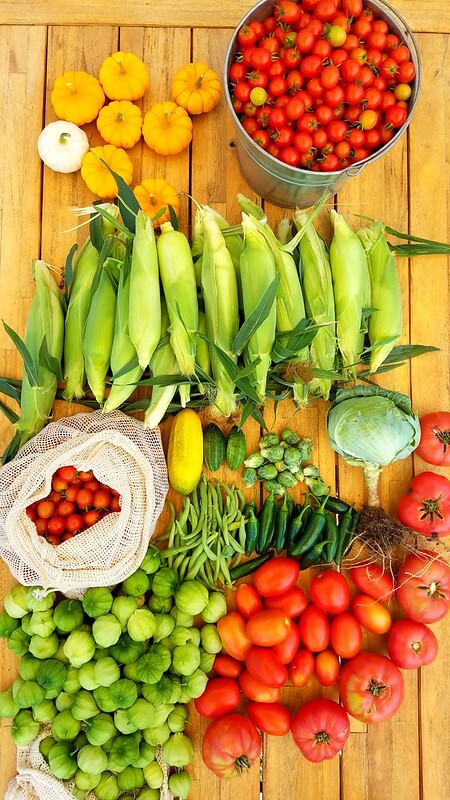 we’re in full harvest mode, picking pounds and pounds of vegetables each week to travel back with to NYC. So what’s growing? Lots of everything. We still have some of our spring veggies (kale, collards, cauliflower, etc). Our sugar snap peas are finally winding down, but still picking a pound every week. Then we have the beginning of the Summer veggies. We picked our first tomatoes and peppers this week, with hope that the corn will be ready next week. The weather Upstate is very different than growing in NYC due it’s colder temperatures so it feels weird to just only beginning to pick tomatoes. With that said, the weather is great because it can grow “colder” veggies in the Summer. 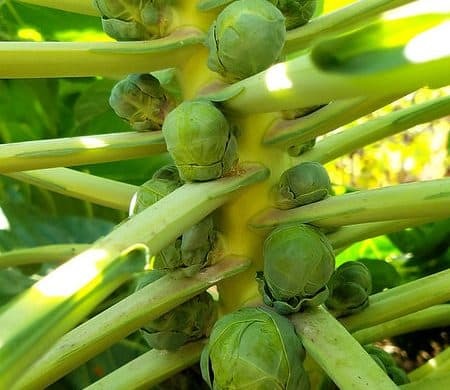 For example, we picked Brussels Sprouts this weekend – in August! Awesome! Bonus awesome because this is the first time successfully growing Brussels Sprouts. Garden high 5s. I’m so excited to eat them. We picked: Kale, Cauliflower, Cabbage, Cucumbers, Carrots, Green Peppers, Jalapeno Peppers, Green Beans, Sugar Snap Peas, Tomatillos, Tomatoes, Onions, Potatoes and Brussels Sprouts. Whew. This Summer has been all about potatoes! We dug up our first plant a few weeks ago, digging up a additional plant every weekend. When it’s time to dig up the potatoes it’s like Christmas morning – pure excitement! Matthew and I gather around the potato plant, digging it up with a shovel and our hands calling out each potato we spot. It’s one of my favorite garden activities! 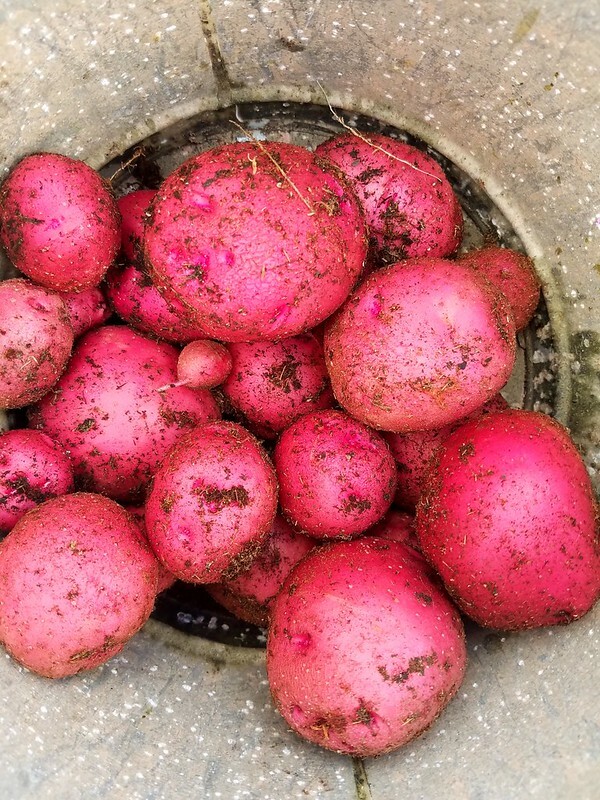 We planted Gold and Red potatoes. The Red potatoes came from “potatoes gone bad” in our cabinet in the Spring. The Red potatoes were a bit of a happy experiment! 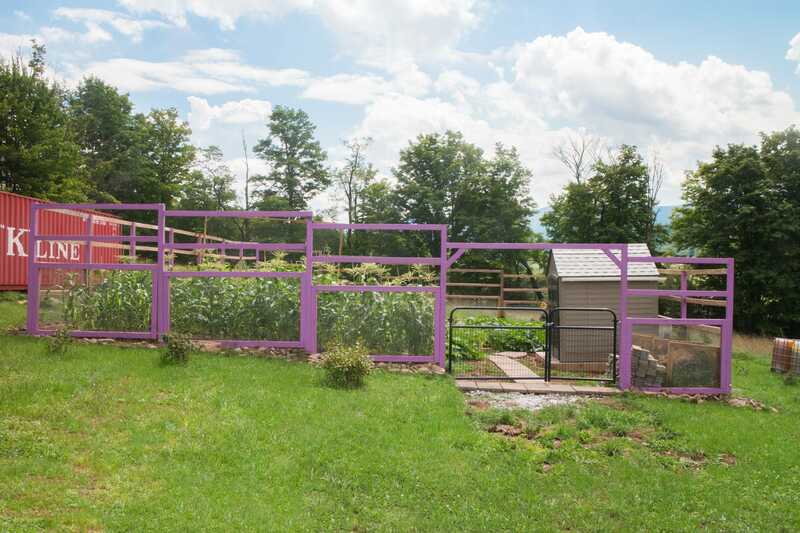 The big reveal of our vegetable garden for our Upstate Adventure! Can I get a drum roll please? After months of hard work, the garden is ready to be revealed in all it’s corn growing, pumpkin pollinating, tomato loving glory! I’ve teamed up with Lowe’s to raise the curtains on the garden and reveal it! 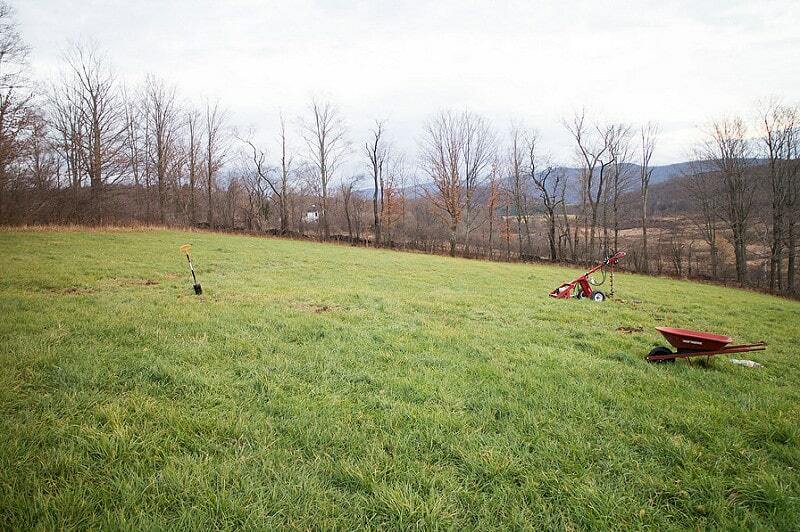 In our Upstate adventure, building the garden was first on the list. Can you believe this was where we started a few months ago? Do you forget what vegetables you have in the refrigerator? 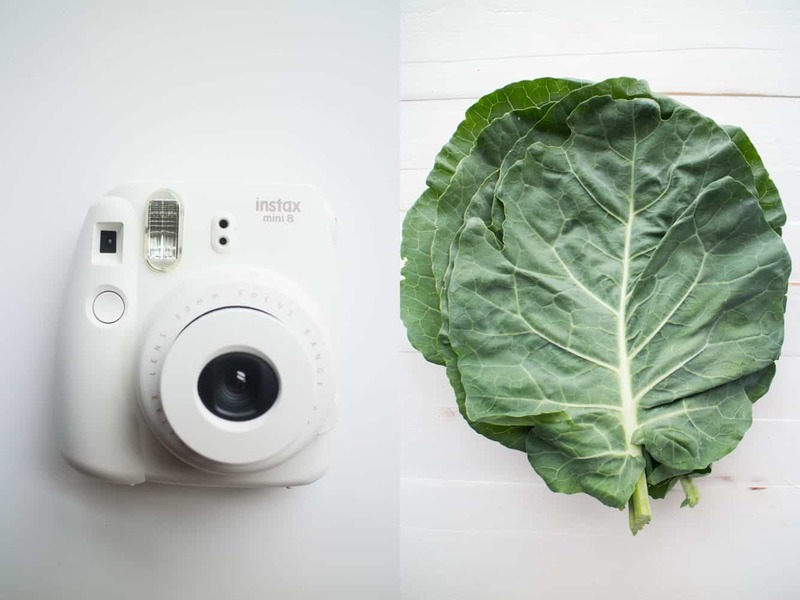 With this simple photo project you’ll never let your produce go bad again! One of the worst things is seeing food go to waste. Do you sometimes buy beautiful greens at the grocery store, use them for 2 days, and then somehow they get stuffed into the crisper drawer in the fridge to be forgotten about until you notice a funky smell? It happens. And it’s terrible. Even worse is when you grow those vegetables and they go bad. All that hard work that went into planting the seeds, transplanting the plants, watering them for months, sprinkling powder in mid Summer under the hot spot because those damn caterpillars really need to get away from your broccoli plants. All for nothing. Because you forgot you had that beautiful head of broccoli and now it’s bad. That is a case of garden guilt that you will never forget. Truthful note, I have wasted a few vegetables and have then sat down on my kitchen floor and cried about it. It gets rough. This tip is easy. 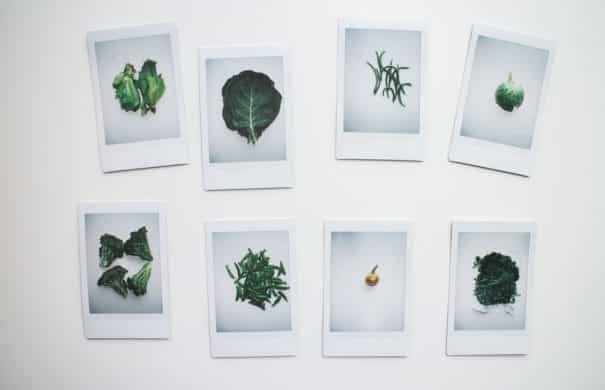 You can go the simple route and keep a piece of paper on the fridge with all the vegetables that you need to eat written on it. Or you can make it a little more pretty then that – that’s where I introduce you to this photo project.